The Center for Individualized Medicine in Arizona will have a new associate director beginning January 1, 2016. Aleksandar Sekulic, M.D., Ph.D., has accepted the position, according to Keith Stewart, M.B., Ch.B., the Carlson and Nelson Endowed Director of the Center for Individualized Medicine. Dr. Sekulic succeeds Richard Caselli, M.D., who has been leading the center’s transition into the clinical practice for the past three years. Dr. Sekulic serves on the Cancer Center Research Committee and is widely known for his genomic research in metastatic melanoma. An associate professor of dermatology, he was named in 2011 to the Stand Up To Cancer (SUTC) and Melanoma Research Alliance (MRA) Melanoma Dream Team. 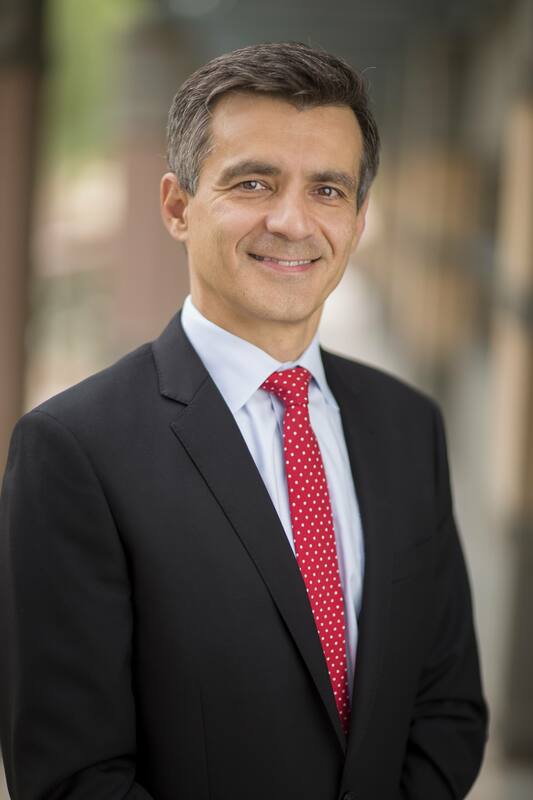 In his new role Dr. Sekulic will continue to introduce genomic-based products and services into the clinical practice as a means of differentiating our services and drawing patients to Mayo Clinic Arizona. Over the years, Dr. Sekulic has focused his research interests on developing translational approaches for the study of genomics in skin diseases; identifying the genetics and molecular mechanisms of malignant melanoma; discovering the molecular diagnostics of pigmented lesions; and understanding the regulation of epidermal proliferation and differentiation as it relates to human skin disease. Dr. Sekulic has extensive and active involvement in basic and translational research as well as clinical trials, exemplified by his role as principal investigator on the ERIVANCE trial, leading to the FDA approval of vismodegib, the first hedgehog pathway inhibitor for treatment of basal cell carcinoma. In addition to his research, Dr. Sekulic excels as a teacher and mentor, having received the Excellence in Teaching Recognition Award from Mayo Medical School. He was also honored as a recipient of the Gerstner Family Foundation Career Development Award in Individualized Medicine. As associate director for the Center for Individualized Medicine in Arizona, Dr. Sekulic will lead the center's transition into patient care by introducing genomic-based products and services into the clinical practice as a means of differentiating Mayo Clinic patient care. Dr. Stewart and the Center for Individualized Medicine welcome Dr. Sekulic in his new role, and thank Dr. Caselli for his strong leadership and contributions to the Center for Individualized Medicine. In this “Meet the Investigator” video that Dr. Sekulic did a couple of years ago for Forefront magazine, part of a series from the Mayo Clinic Cancer Center, he talks about his work in the genetics of skin disease and cancer biology.